Just last week Agnes Chu was at the Kiva HQ office in San Francisco, training to become a Kiva Fellow. After graduating from the training program, she prepared to begin her fellowship in Samoa, working with Kiva Fellow South Pacific Business Development (SPBD). The day before she flew to Samoa, a tsunami devastated the area she was flying to. My placement in Samoa was supposed to be a quiet one. A tiny country smaller than Rhode Island, Samoa is part of the group of Polynesian islands that are usually associated with the words “dream vacation” or “exotic getaway.” Samoa is located in the “calm zone” of the Pacific and the demeanor of its inhabitants follows suit; there is actually a term—fa’a Samoa—for the laid-back attitude Samoans have towards life. Although the UN has categorized Samoa as a “least developing country,” it is well-known that Samoans are always smiling. I thought I was placed on a beach—none of this catching-malaria and getting-chased-by-men-with-machetes business that other Kiva Fellows had to worry about. The earthquake and subsequent tsunami hit Samoa the day of my flight from San Francisco to Apia, Samoa. Although I wasn’t aware of it at the time, the tsunami had spared Apia, the capital of Samoa and headquarters of South Pacific Business Development microfinance organization, and it was the eastern coastal region and American Samoa that suffered the brunt of the damage. The airline, showing us grimy pictures of the damage, advised all tourists to turn back, but nobody did. I arrived at 5:30 a.m. the day after the tsunami hit and found SBPD’s driver waiting for me at the airport, on schedule. The government had declared the day a national holiday, but at SPBD’s office, almost all of the staff showed up and continued operations as usual, working doubly hard to make up for the lost day. Approximately 15-20% of SPBD’s borrowers live in eastern region of Samoa that was affected. We still do not know the status of all of them. When the tsunami came, bearing waves 10 feet high, many people fled inland to the plantations uphill and remain there with their families and villages. The entire village of one of SPBD’s borrowers is crammed into one home, the only one situated on higher ground. Of the borrowers we were able to locate, their damage, thankfully, is mostly material. However, the extent of material damage is overwhelming. Samoans build their houses oceanfront, literally 5-10 feet away from the Pacific (The beach is very small and sometimes non-existent in most spots of Samoa.) The houses, called fales, are giant rectangular patios, with wooden poles holding up a singular roof made of sheet metal. It’s the perfect way to enjoy the seabreeze. When the water came, their belongings were swept away. Fales, not meant to be sturdy, crumbled and some have only the concrete foundation remaining. Most people lost everything they owned. Tourist fales are gone. A wharf costing millions and newly opened months prior is damaged. Samoans are shocked that such a disaster could happen—this is the first tsunami to hit Samoa. 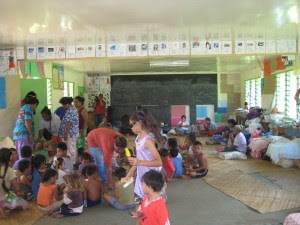 Samoan families use schools as temporary shelter. Children are receiving popsicles from Red Cross. That sentence amazes me, because I have never seen poverty before and can’t imagine having little and then losing it again. I get mad when I lose my iPod! I grew up in a middle-class family in a big city and just a few days ago, poverty was only a concept discussed in the New York Times. 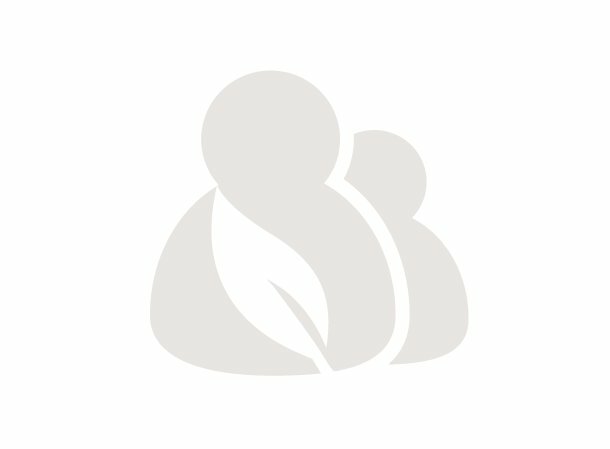 I joined Kiva because I wanted to see it firsthand and help. The tsunami was more than I bargained for. The impact is devastating. My mind is numbed by wondering how these families will cope. But they are. I have been in Samoa for only a few days and I can see already how strong families are here. The past 60 hours have been a whirlwind. I have lost a lot of sleep, gotten bit by mosquitoes and cockroaches, and ate marmite for breakfast instead of bacon and eggs. But I am inspired by the Samoan woman’s remarks and I am happy. 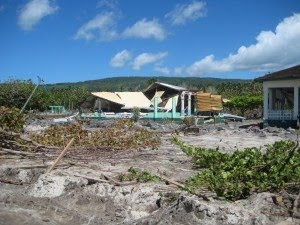 SPBD will be doing further assessment on the aftermath of the tsunami and I will provide more updates on the Kiva borrowers affected in the following weeks, as more information comes. Please support SPBD by lending to its other borrowers here. 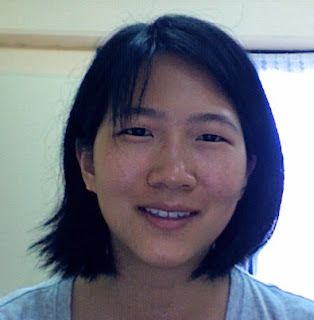 - Agnes Chu is a Kiva Fellow who arrived (safely) in Samoa on September 30, the day after a tsunami devastated the area, for a 3 month assignment with Kiva Field Partner South Pacific Business Development (SPBD).